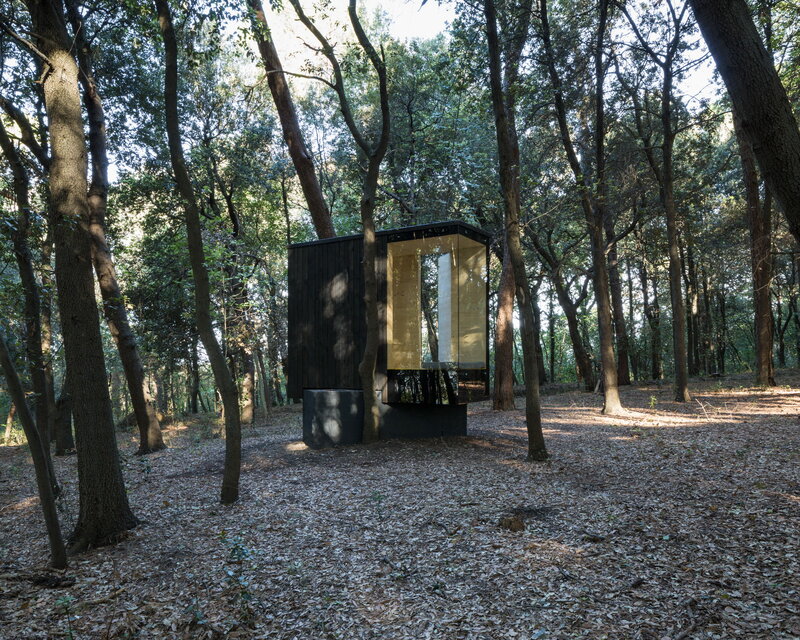 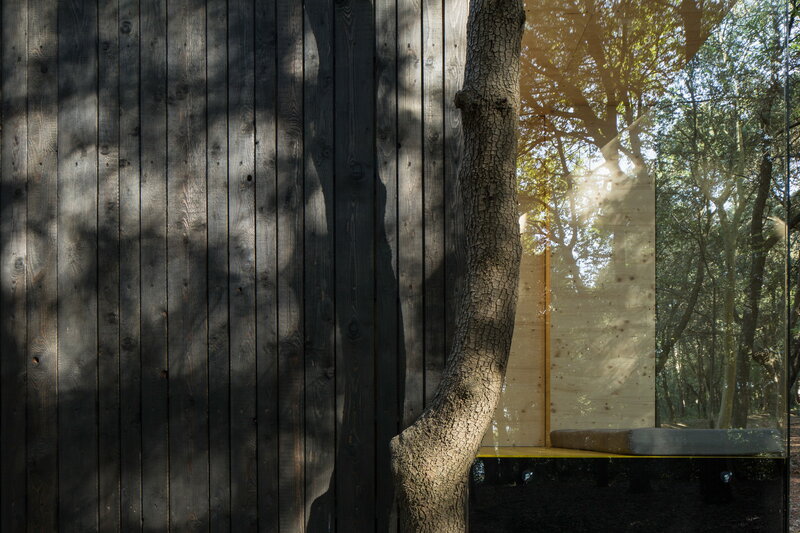 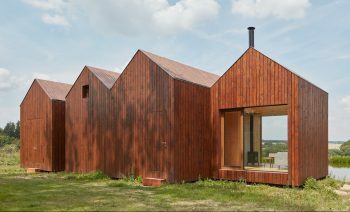 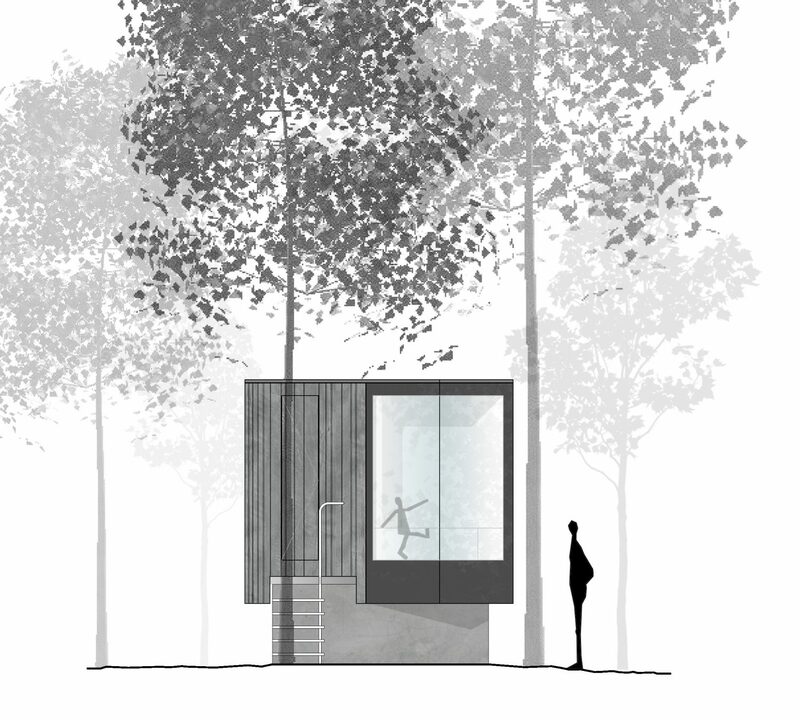 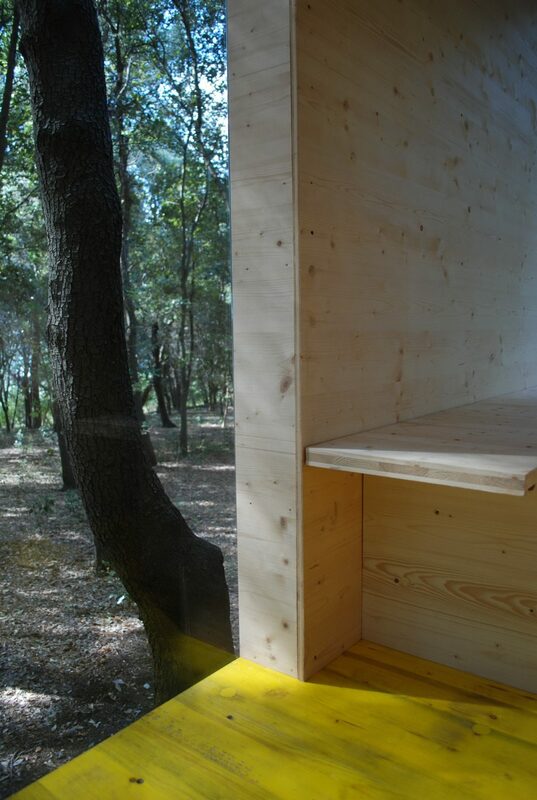 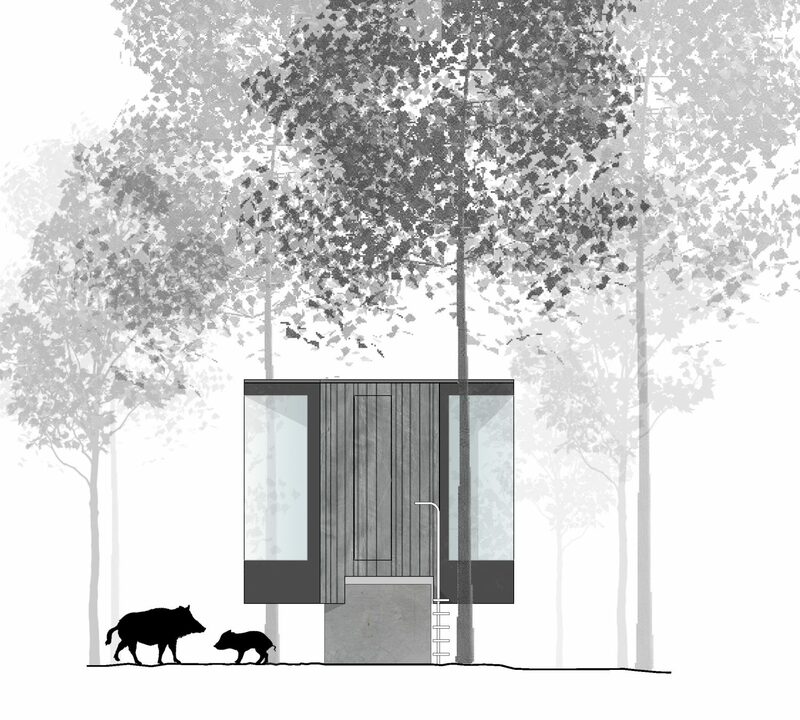 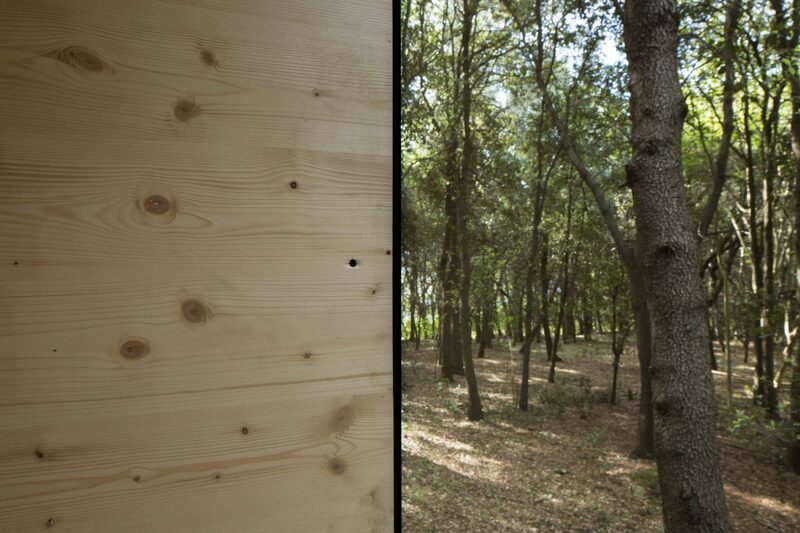 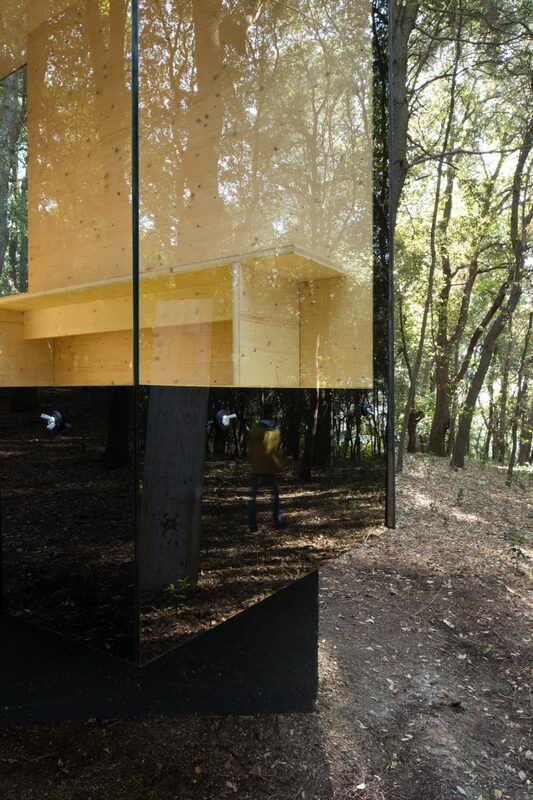 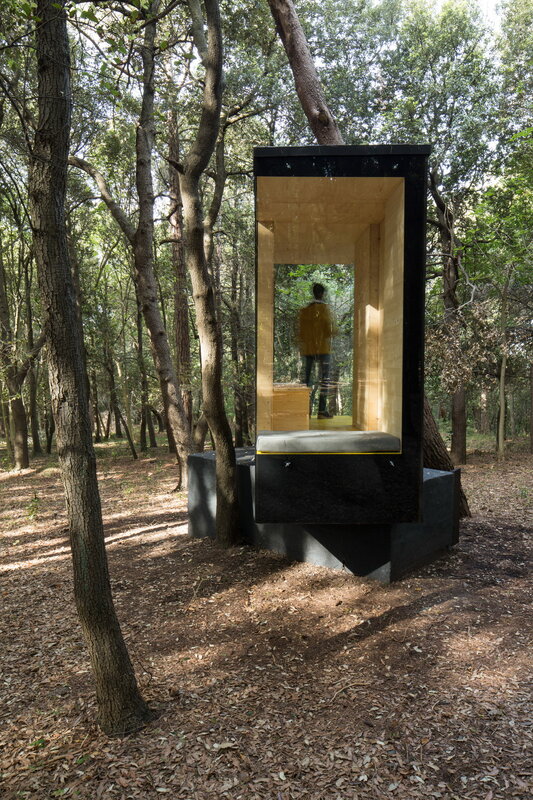 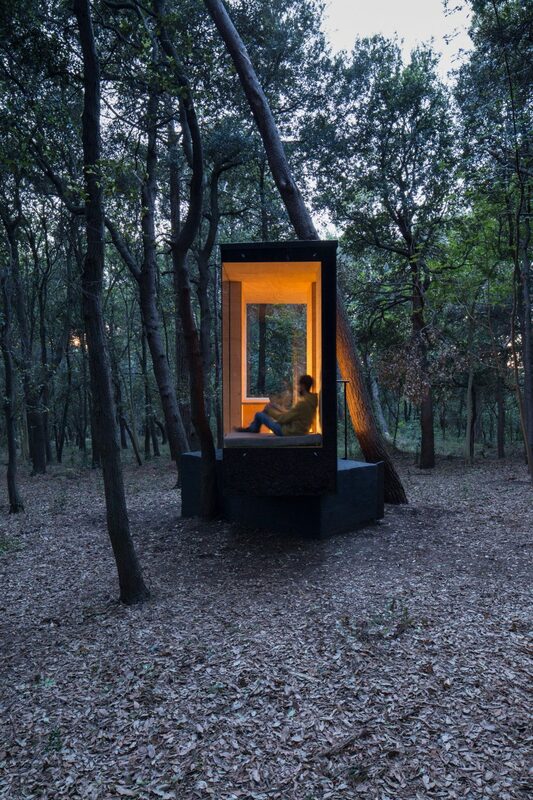 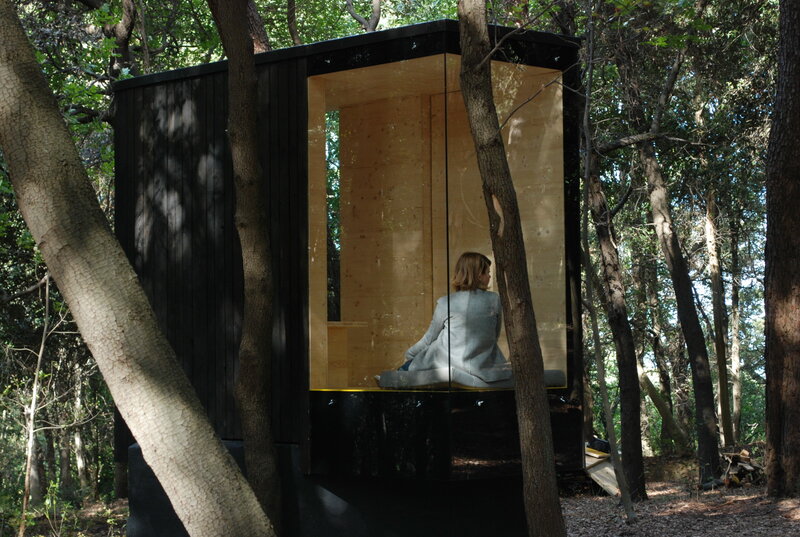 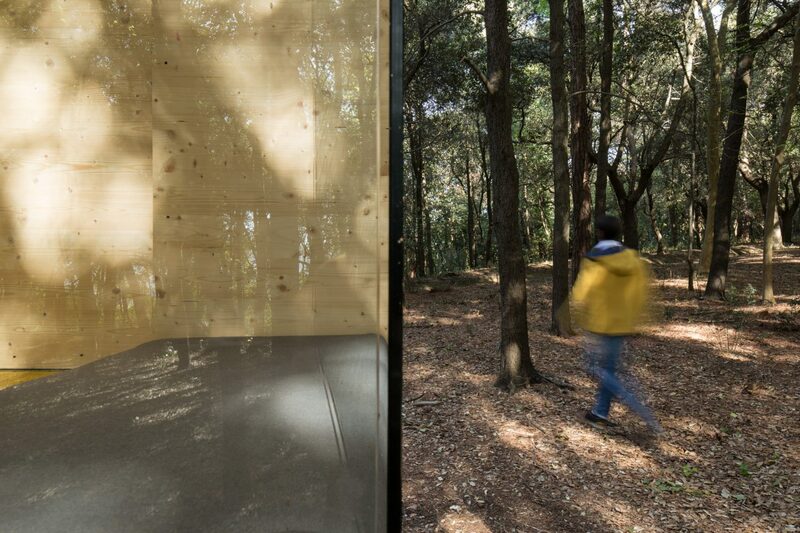 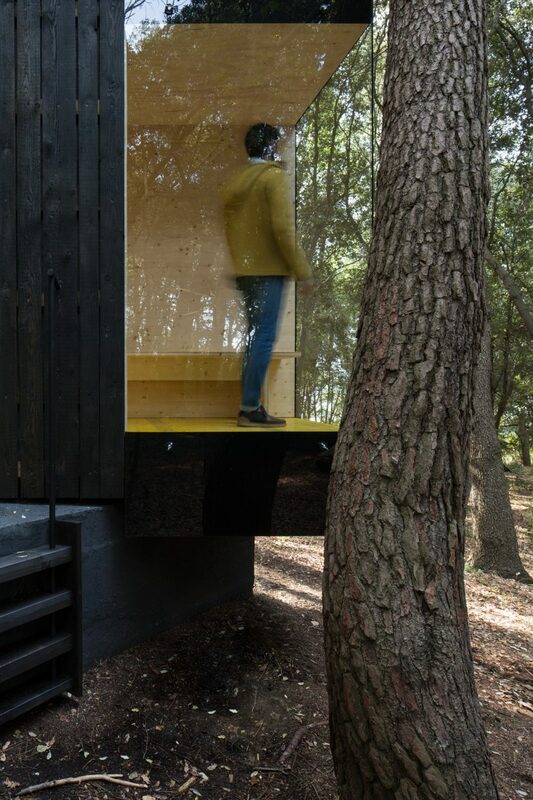 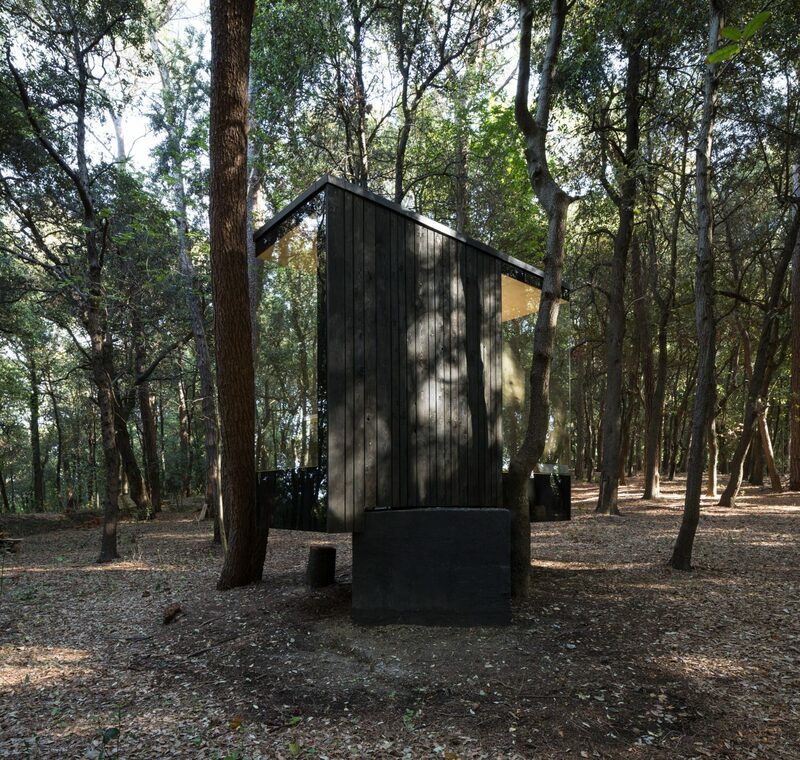 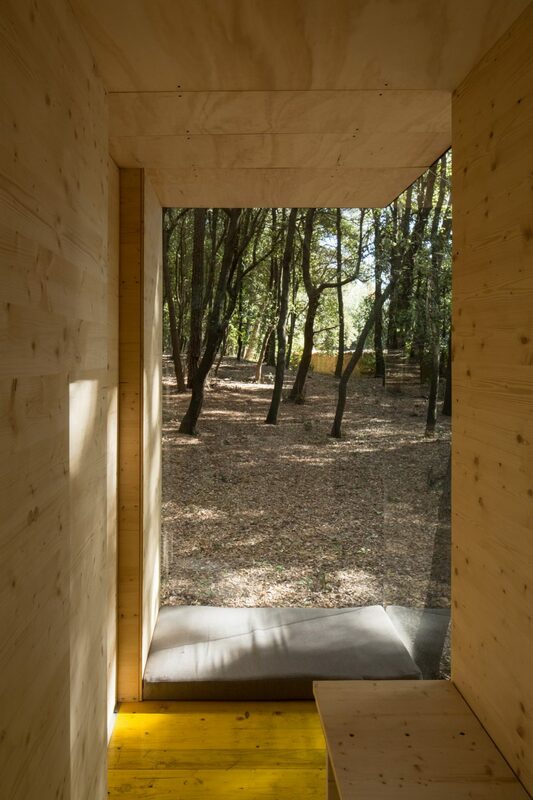 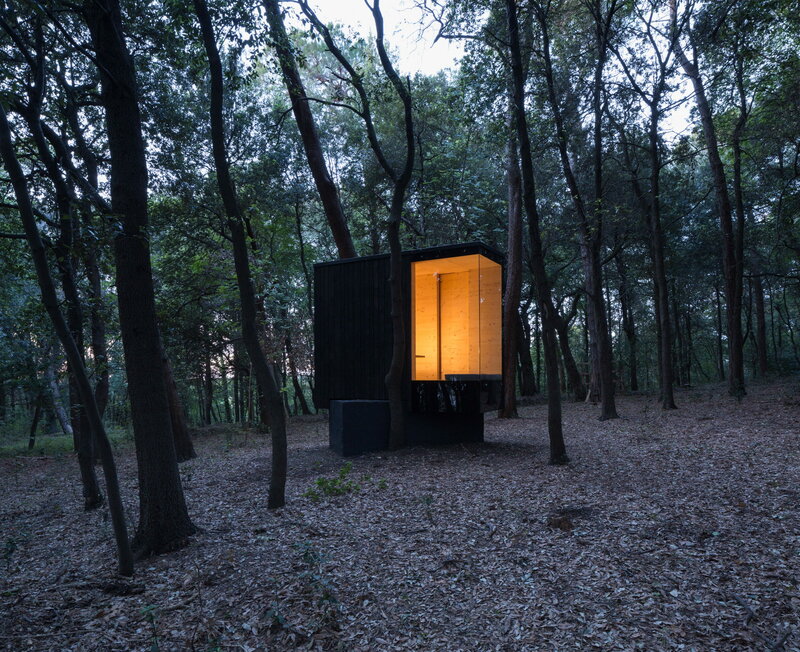 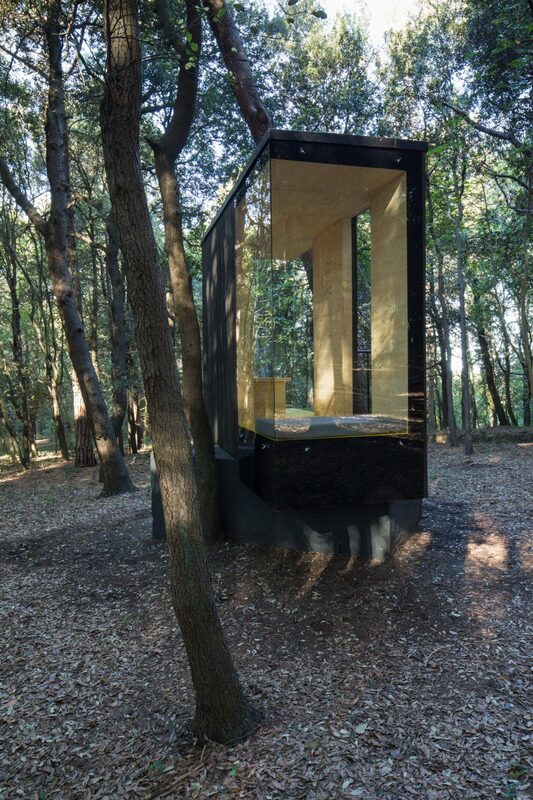 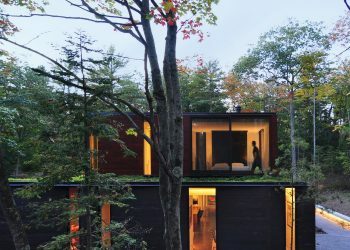 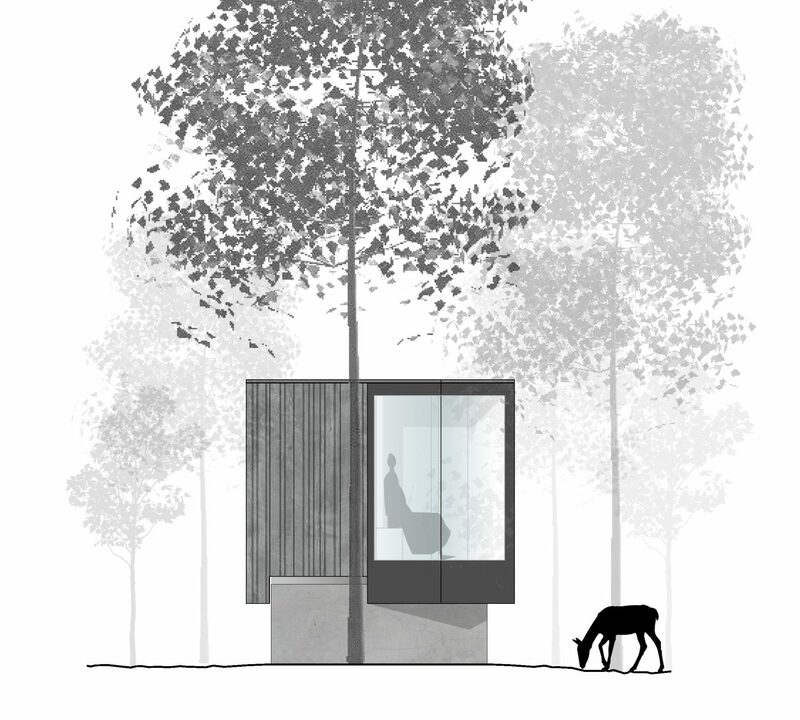 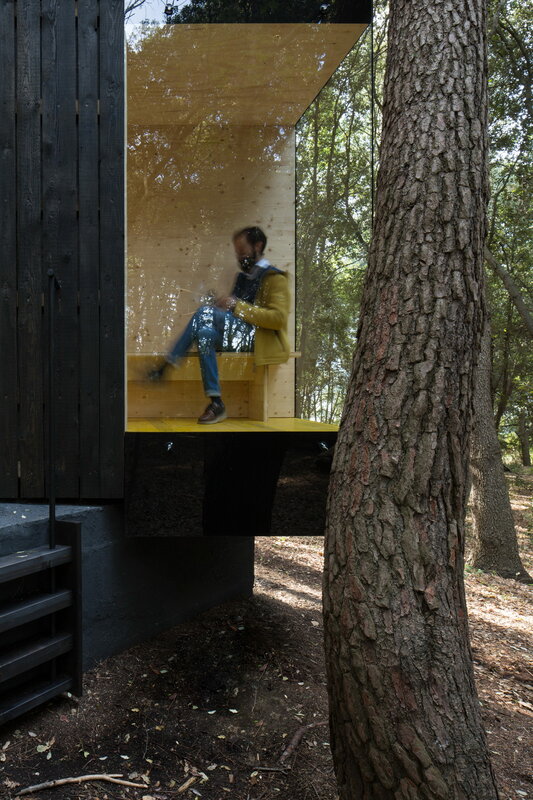 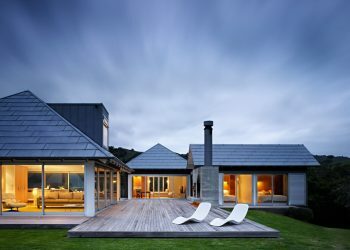 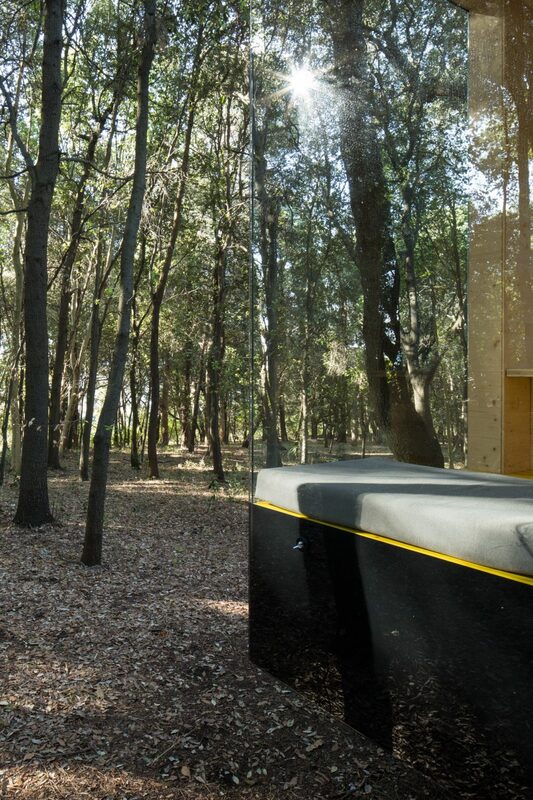 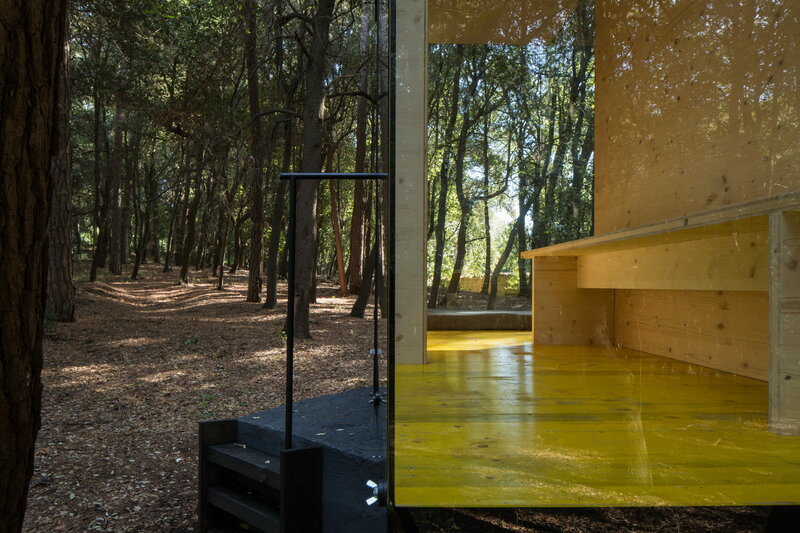 CBN is a 5-square-metre (54-square-foot) tiny cabin in the wood completed by Italian studio PLUS ULTRA in 2017. 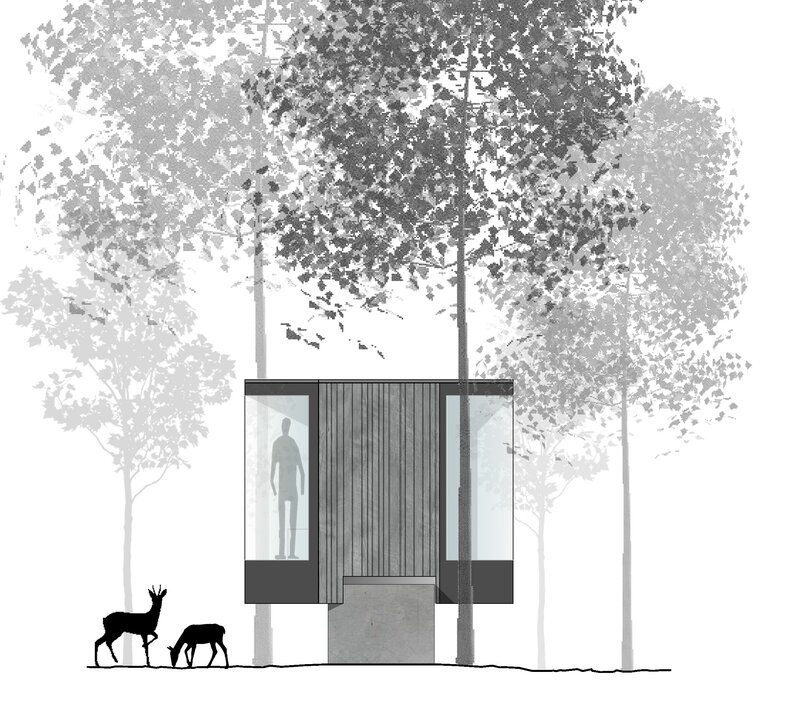 The cabin built on a concrete basement, on which a tower for hunting once stood. 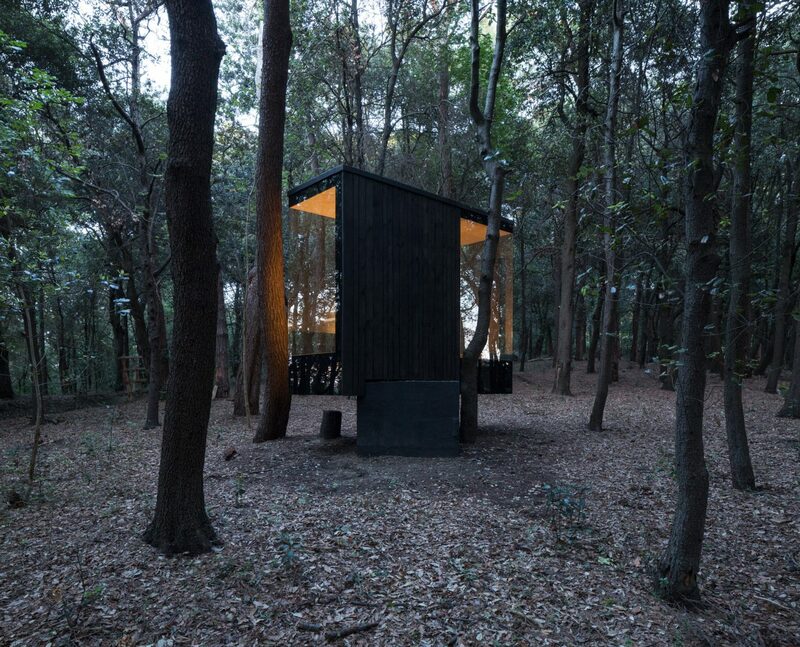 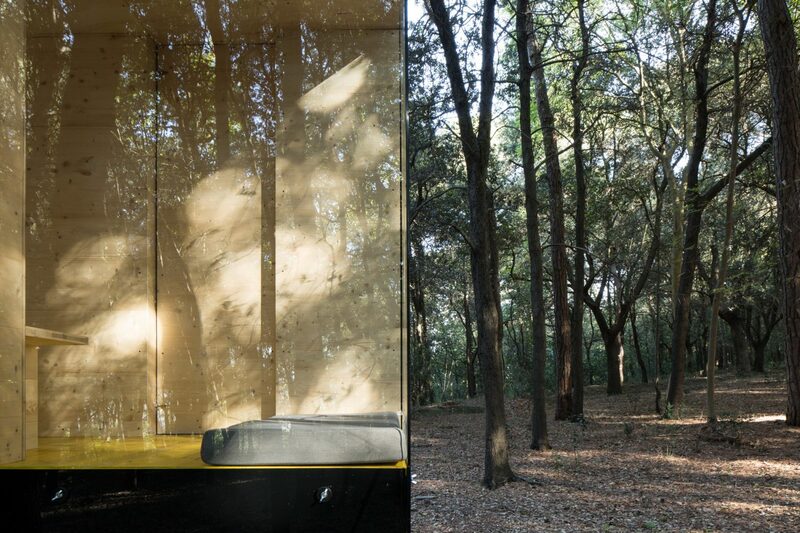 CBN serves as an observatory to sight deer and other wild animals in the wood, but also a place to read and meditate.